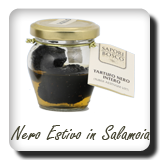 Molise is famous as a region rich in the presence of truffles. In every period of the year in fact, it is a kind of tuber; in the winter season is the white truffle (Tuber Magnatum Pico), precious; in summer / autumn truffle harvest is black scorsone (tuber aestivum Vitt) and in spring the earth offers the white truffle (tuber albidum pico). 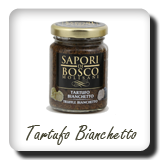 In our company the steps of selection of truffle take place in the most traditional way. The truffle is collected exclusively from the forests of the lands of Molise, by researchers with the help of trained dogs. After the purchase by the company, there is the careful selection of the product through the experienced hands; below the washing that occurs only with water, to then proceed and get to select the product again and divide in various sizes. The end of the conservation process occurs through the chiller temperature that freezes immediately the tuber. This treatment helps extend product storage counteracting bacterial growth. The truffle ultimately remains in the cells of cooling at controlled temperatures. 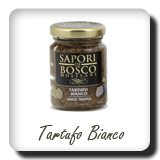 White truffles, black and white out are the top of our products. Available in various sizes for all needs, whole, sliced ​​and ground. 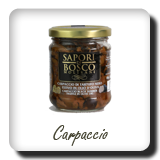 Ideal to exalt the first dishes, meats and crostini.